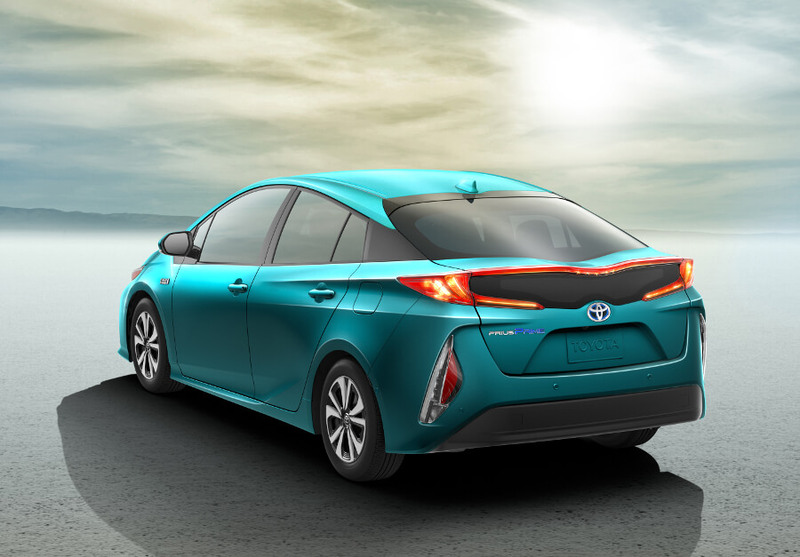 The 2017 Toyota Prius Prime builds on what came before by supplying more power, greater range, and improved efficiency compared to the outgoing model. In fact, it was just named the Top Electric/Hybrid Car in the KBB Best Buy Awards, and it leads the segment in numerous diverse ways. Here’s everything you need to know. 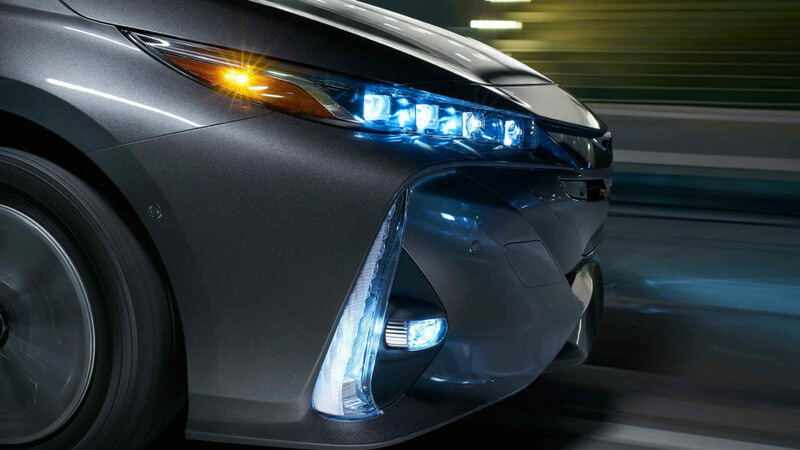 Plus: Starting at $27,100*, the Plus delivers features such as quad-LED projector headlights, a Smart Key System with Push Button Start, and all the driver assistance technologies of the Toyota Safety Sense package. Premium: Starting at $28,800*, the Premium adds a whole host of upgrades, including Qi-compatible wireless smartphone charging, heated front seats, and an 11.6-inch multimedia display. Advanced: Starting at $33,100*, the Advanced comes with Intelligent Parking Assist (IPA), a Color Head-Up Display (HUD), and Blind Spot Monitor (BSM) with Rear Cross-Traffic Alert (RCTA). 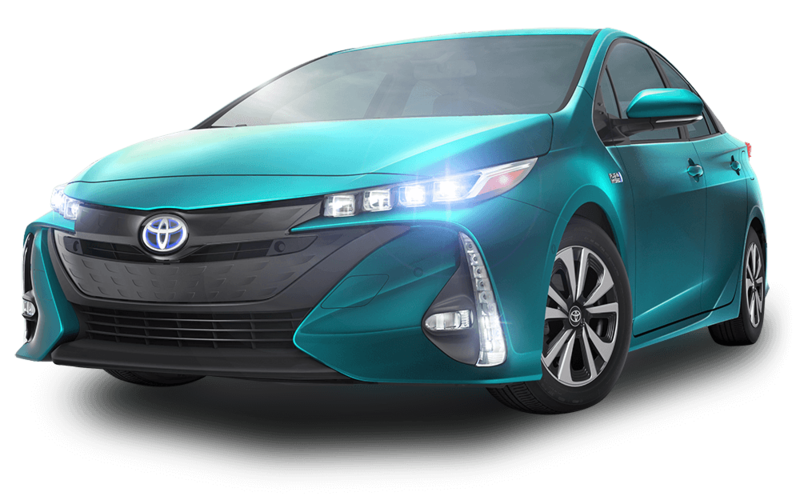 The Prius Prime utilizes an all-new parallel hybrid system to ride using either the sophisticated battery pack or the 1.8L four-cylinder engine. Running in EV mode, you’ll be able to achieve an electric-only cruising speed of 84 mph, travel up to 22 miles, and achieve up to a Class-Leading 133 MPGe**. When you need to ride with the assistance of the Atkinson cycle engine, you’ll still be able to get up to 55 mpg in the city and 53 mpg on the highway***, so the Prius Prime outperforms most rivals without even having to activate the battery pack—and you’ll be able to outstrip every other plug-in on the market with a Class-Leading 640 miles of total driving range. Performance remains exceptional thanks to Toyota’s all-new Global Architecture, a low-slung body, and revised suspension system; altogether, you’ll be able to go from zero to 60mph in around 10 seconds with this stunner. When you’re done marveling at the ride, you can charge the battery in just 5 hours 30 minutes using a standard outlet or as little as 2 hours 10 minutes at a 240V public charging station. The 2017 Toyota Prius Prime clearly sets the standard when it comes to efficiency and range, and it doesn’t sacrifice anything in terms of interior space. With up to 91.5 cubic feet of passenger space, all 4 occupants will be able to spread out and relax. Even more impressive is a Largest-in-Class cargo capacity of up to 19.8 cubic feet. Need to throw some boogie-boards into the trunk for a trip to Daytona Beach or Palm Coast? Go right ahead. And the Prius Prime is as comfortable as it is spacious, with available features including a heated steering wheel and heated front seat with 8-way power adjustment and power lumbar support. Pushing beyond the status quo is something the 2017 Toyota Prius Prime does in style, and it’s an attitude that’s evident when you look at its interior tech. 11.6-Inch Tablet-Style Infotainment Center: Large and vertically-opposed like a tablet, the available 11.6-inch touchscreen makes controlling your interior environment feel effortless. Entune App Suite: Connect to your favorite mobile apps right through the multimedia display to book restaurants, find shops, keep up with social media, and more. Color Head-Up Display: Your speedometer, navigational information, Hybrid System Indicator, battery charge, and Toyota Safety Sense alerts can all be projected right onto your windshield. The 2017 Prius Prime outclasses competing models across the board, so you really ought to try one out if you’re looking for an efficiency-focused hatchback. To arrange a test drive, just contact one of the team here at Beaver Toyota of St. Augustine today. *MSRP excludes the Delivery, Processing and Handling Fee of $865 for Cars, $940 for Small/Medium Trucks (Sienna, RAV4 Gas, RAV4 Hybrid, Highlander Gas, Highlander Hybrid, 4Runner and Tacoma), $1,095 for Large SUVs (Sequoia, Land Cruiser), and $1,195 for Large Truck (Tundra). (Historically, vehicle manufacturers and distributors have charged a separate fee for processing, handling and delivering vehicles to dealerships. Toyota’s charge for these services is called the “Delivery, Processing and Handling Fee” and is based on the value of the processing, handling and delivery services Toyota provides as well as Toyota’s overall pricing structure. Toyota may make a profit on the Delivery, Processing and Handling Fee.) Excludes taxes, license, title and available or regionally required equipment. Actual dealer price may vary.